Shorter and less intensive than our beginner lesson. Price is Per Person, please enter a minimum of 1 -10 people. - please call to book this session we are happy to help. receive a full hour of instruction. we will teach you all the fundamentals followed by 30 minutes of free time to practice your newly learnt skills. The maximum number of students we will take in any stand up paddle boarding lesson is 1-10 students to 1-2 instructors to ensure quality lesson time & safety. Price is per person per. Make the most of your SUP experience and go PRIVATE. Lessons last 1 1/2 HOURS & include - ALL EQUIPMENT - SUITABLE FOR BOTH BEGINNERS & IMPROVERS. Price is Per Person, please enter a minimum of 1 -10 people. In this course you will learn the basics to inshore paddle boarding and safety before setting off to explore one of our great locations. 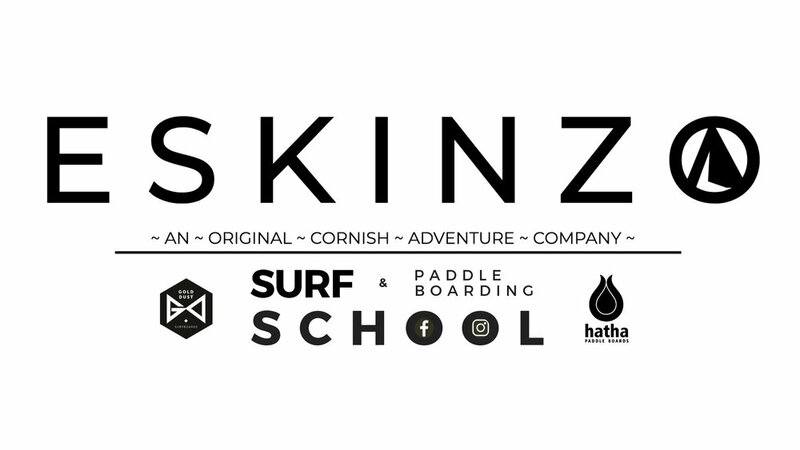 I really enjoyed my SUP experience with Eskinzo. We got taken to a beautiful spot on the river and paddled around some truly beautiful creeks and coves. Very well organized and super friendly staff. I would highly recommend this to anybody. Five stars! availability for weekends at our Secondary location on the Truro river will soon be available to see and book here.in the meantime if you know roughly what dates you would like to go please do get in touch we are always happy to help and can take your booking By email or phone. Other (Special Request) Please State Below. 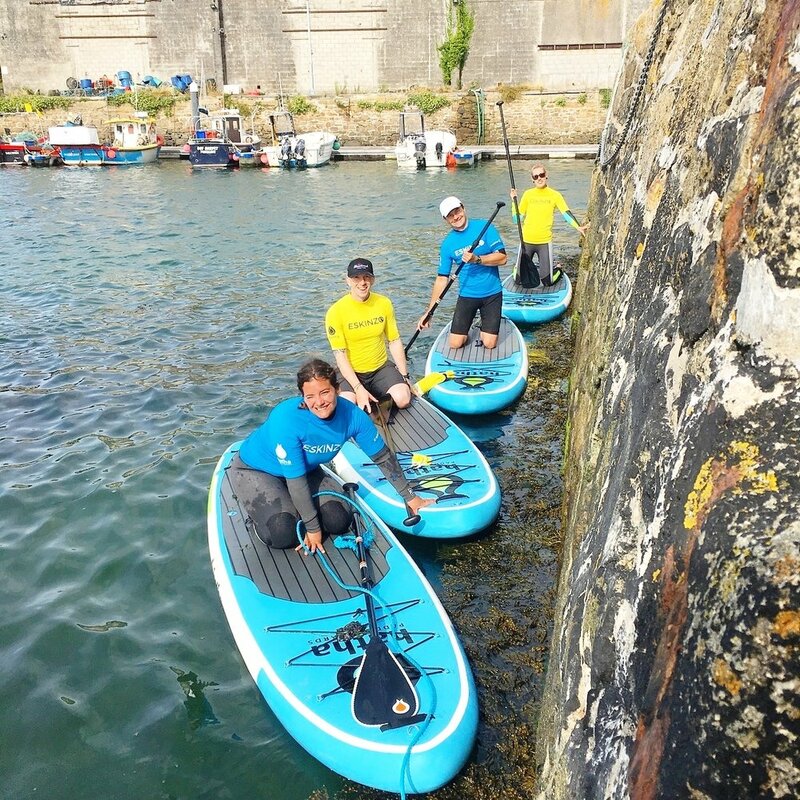 Before you proceed, our Stand up Paddle Boarding lessons are booked in a slightly unusual way we only run one SUP activity/lesson a day and always at high tide as this is the safest and most picturesque time to paddle board. The only issue with this is that because we want to give our clients the best experiences we are restricted to tidal conditions and therefore unable to offer regular start and finish times which can be a little bizarre. So, the way we work around this is we take bookings as normal on our booking system to show your interest, receive medical history, payment and confirmation. We will then send you a separate email & text message within 24hours of your original booking, confirming your actual personalised lesson arrival time. The start time for your lesson could be anywhere between 8:50am and 5:30pm please allow for up to 3 hours with us even if your only booking a 1 1/2 hour lesson this is so we can move location if needed, allocate equipment deliver relative safety briefs etc. Bookings at the start of July will be early morning lessons moving on to mid day during the middle part of the month and then sunset sessions towards the end. Please note all sup activities on our booking system are advertised at 12:00pm as standard this will change. WE are HAPPY TO HELP find & ARRANGE a TIME SLOT BEST SUITED TO YOU.